The traditional belief within the financial market is that brokers are an integral aspect of it. They arrange sales between trader and stock seller for a small commission. That commission was their due for filling a role that only they could fulfill. The ethical issues that arose from this system, though known to traders, were an unavoidable risk that had to be taken. Traders had no way to fulfill the role of a broker effectively unless they wished to take on both roles at once. This, coupled with the power of the broker, prevented the broker’s place in the financial trading system from being disrupted for nearly the entirety of financial trading history. The ethical issues involved in this system are numerous and costly. Brokers can take advantage of their traders through various tactics. A common first tactic is designed to draw in and entice traders. Brokers will offer a promo incentive or bonus to any who open a new account with them. 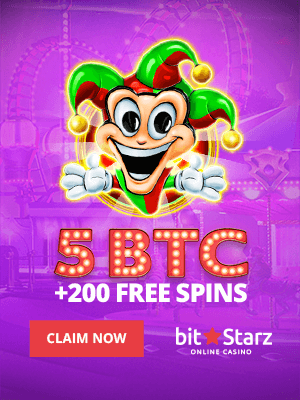 These incentives are far larger than the amount invested and, in many cases, are given with the agreement that the trader cannot withdraw their profits until they match or exceed it. This gives the broker complete control over the account of their traders so that they may prevent, hinder, or at the very least make withdrawals difficult. These practices may allow dishonest brokers to manipulate prices by dishonestly reporting them along with hedging bets against their traders in order to increase their commission. The practices outlined above have resulted in a 70-90% industry loss ratio. These practices, along with their result, are common knowledge but there was little that could be done in the past to disrupt this cycle. SPECTRE, the shortened form of Speculative Tokenized Trading Exchange, is an innovative platform that aims to disrupt this facet of the financial market. SPECTRE is built upon Ethereum blockchain technology. This allows traders to use crypto wallets, rather than an account controlled by a broker, to invest. Ethereum takes the place of the broker and automates all the processes associated with the role. Brokers, in the traditional model, make profits off of the loss of traders; the Etherum technology makes no such profit from the deposit of funds from cryptocurrencies into SPECTRE’s liquidity pool. This reduces the motivation and core reasons that broker fraud occurs within the financial market. The broker, within SPECTRE’s business model, is no longer necessary. These tokens are protected by an adaptive trading program that utilizes a variety of algorithms. Emotion control, risk management, and trade opportunity recognition are aided by a series of algorithms that assist in keeping track of various statistics. The strengths, weaknesses, and habits of the trader are analyzed by the system so that a report can be built based on these factors. This report will then be used to let the trader know when they are about to make a potentially loss-inducing mistake. 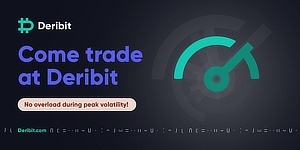 The trader is, additionally, given the right to monitor the live fluctuation in the value of the liquidity pool so that they may always be assured that there is complete transparency upon the platform. SPECTRE aims to do more than disrupt the financial trading market via the removal of the broker. It also seeks to better educate traders on the proper techniques and strategies to be used in trading. The platform, for this purpose, will also be home to the Spectre Financial Education Academy. This, known as SpecEd for short, has been created in partnership with the Blue Sky Binary Blockchain Academy. Material from the BBA will be included upon SPECTRE’s platform with the aim of better educating incoming traders. SPECTRE’s token sale begun on the 17th of November 2017 at 12:00 PM GMT and ends on the 10th of December 2017 at 11:59 AM GMT. The public alpha went live in September 2017 and the connection to the live Ethereum main net environment is scheduled for the first quarter of 2018. This is a press release and it may contain forward-looking statements. Trustnodes has not undertaken any verification of any of the above statements and any statement contained therein is not necessarily endorsed by Trustnodes. Readers are strongly advised to do your own research.